About six miles before road's end at the top of Haleakala is the Halemau'u Trail, which traverses native shrub lands on the west side of the 10-foot, still-active volcano. An 8.5-mile roundtrip hike gets you to the Holua cabin set in a patch of greenery amid red sands and cinder cones of the crater—which is actually an eroded valley. Nene, the Hawaiian goose that is the state bird, like to congregate at the cabin with hikers. 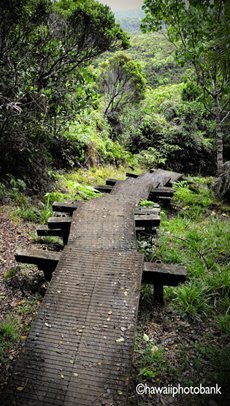 On the way, the trail skirts the Ko'olau Gap, where one of Haleakala's more recent lava flows swept down the volcano to the sea and formed the Keanae Peninsula on what is today the Hana Highway. After the gap, the trail switchbacks down a cliff. The Halemau'u Trail is a popular car-shuttle route: Hikers start at the top on the Sliding Sands Trail and hike about 12 miles across, a trek that is more like the American Southwest than Hawaii. 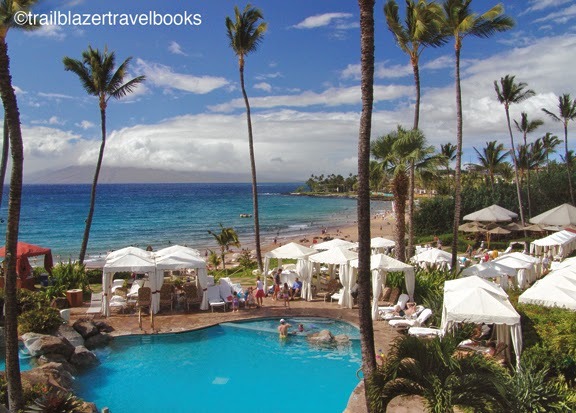 Complete directions are in the Maui Trailblazer guidebook. Ilikai Hotel + Waikiki = Sweet Aloha! With immaculate and spacious rooms, legions of friendly staff, and a location right at one end of Waikiki Beach, the Ilikai Hotel and Suites is at the top of the list for families and honeymooners looking for a getaway on Oahu. 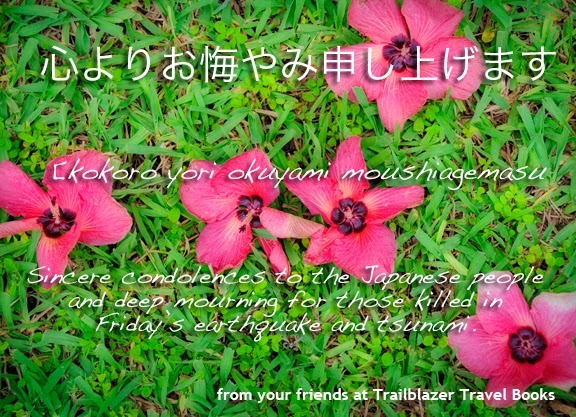 The view above is of Ala Moana Park and downtown Honolulu; other rooms face Diamond Head and Waikiki. 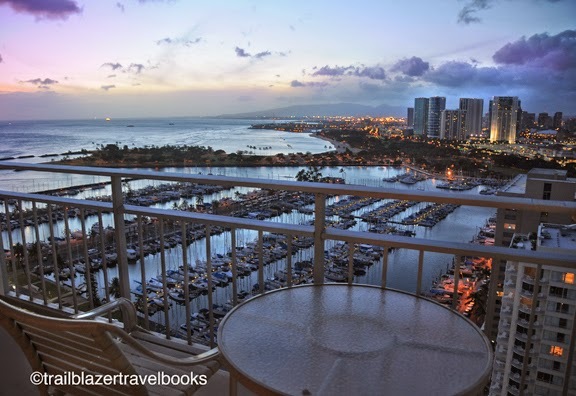 The esplanade behind the hotel leads from Ala Wai Harbor to Duke's Lagoon at the Hilton—a two-minute walk to begin the hubub and glitz of Waikiki Beach and the designer shopping along Kalakaua Avenue. Buses and trolleys stop right in front of the hotel. 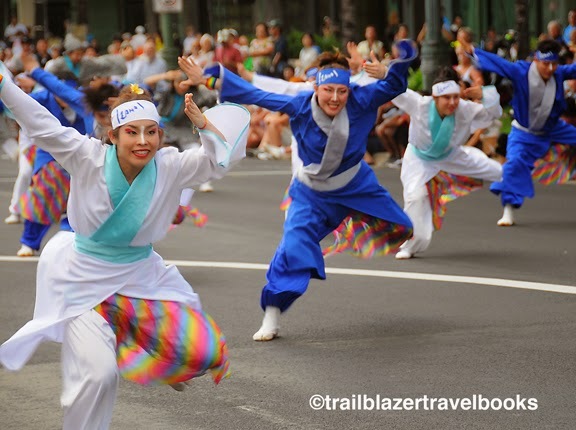 Downtown Honolulu—with all its museums and Chinatown—is a quick drive or trolley ride the other way from the Ilikai. In short, you are right in the action, without being in the hassle. 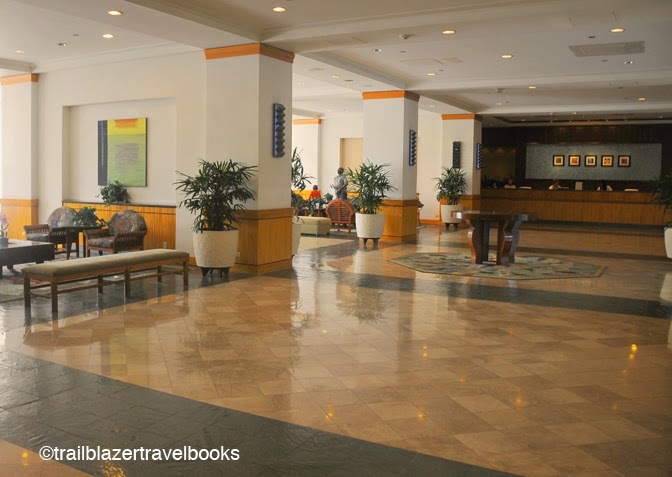 Valet parking makes it easy, coming and going, and the hotel's location on Ala Moana avoids having to run the maze of streets in central Waikiki. A reasonably priced bar & grill (with happy hour) is on site, overlooking the water. For fancier faire, try Sarento's Restaurant—a glass fishbowl that sits atop the 26-story, three-winged tower. All rooms come with microwaves, coffee makers, and a small regriferator. 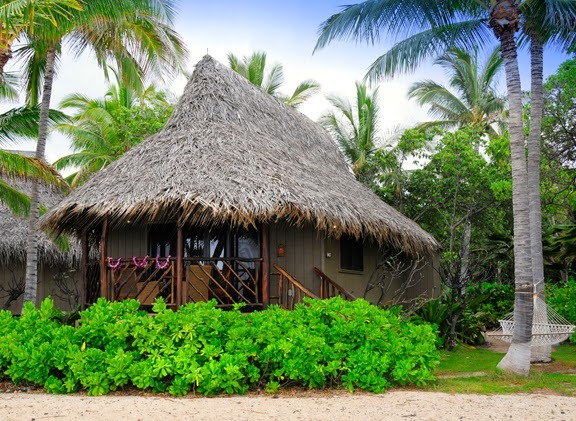 The people a the Ilikai have thought of everything—and they got it right. Kona Village, (pictured here in 2010) the low-key luxury resort north of Kailua Kona, has closed "indefinitely" in the wake of the March 11 tsunami surge that knocked 20 beach-side hales from their foundations and inundated resort grounds, destroying infastructure. Some 200 employees will be out of jobs beginning April 3 at the 45-year-old resort. Meanwhile, The Four Seasons Hualalai—nextdoor on the coast but more upscale in design—announced a six-week closure to take care of wave damage and debris that came ashore during the event. The Big Island took significant damage farther down the coast, including along tourist-packed Ali'i Drive in Kailua, where resorts and homes were flooded, and in Kealakeua Bay, where homes were washed to sea. 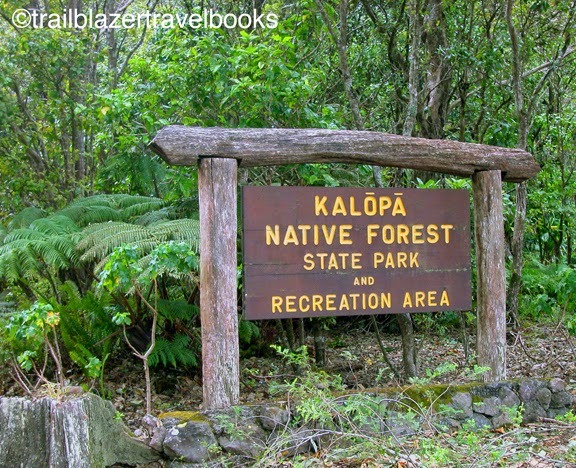 Kalopa State Park on the Hamakua Coast (northeast) of the Big Island is a find for adventure travelers: The lush park has nature trails for a family picnic stroll, as well as miles-long loop hikes through exotic forests with birdsong for a soundtrack. 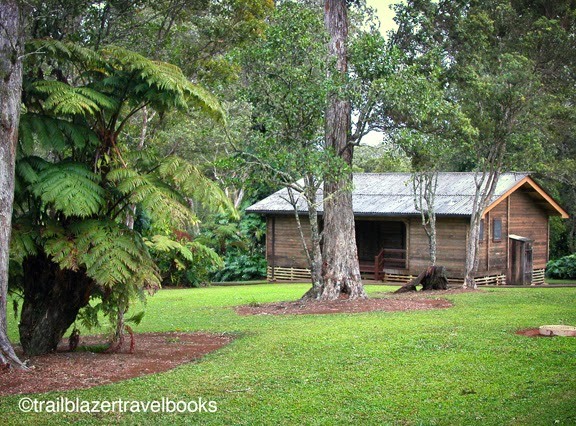 Campsites are quiet and well-sited and Kalopa's rustic cabins are well-kept and a bargain. 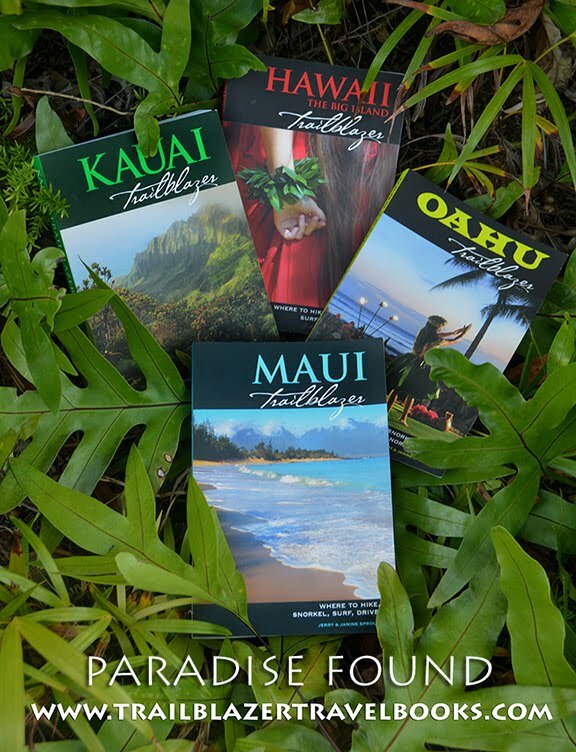 Waipio Valley and Hilo are day trips well within reach. This park is lovingly cared for by staffers and volunteers. The downside? Set above 2,000 feet (on an ancient flow zone from Mauna Kea, still 12,000 feet higher), Kalopa can be chilly. And don't be shocked if it rains. 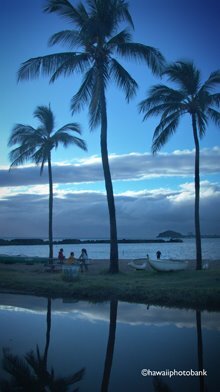 As is the case with all camping in Hawaii, weekdays are best, although Kalopa doesn't get party-time campers like many beach parks. 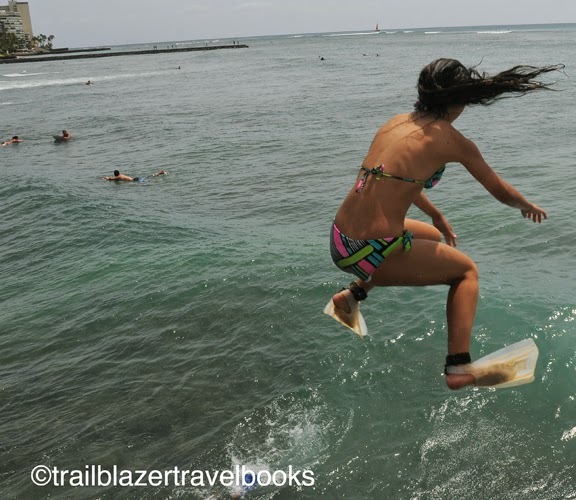 The Hamakua Coast doesn't have any reliable swimming beaches. 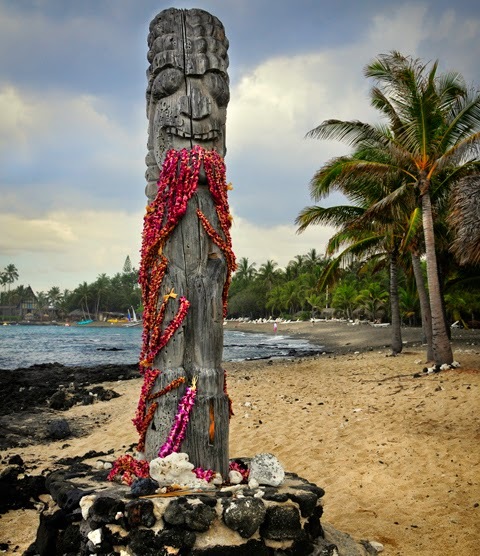 But campers can find fun in the sun via a day trip to Hapuna Beach Park, and others on the north end of the South Kohala Coast. 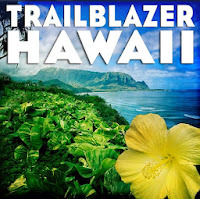 Hawaii the Big Island Trailblazer guidebook has all the directions. 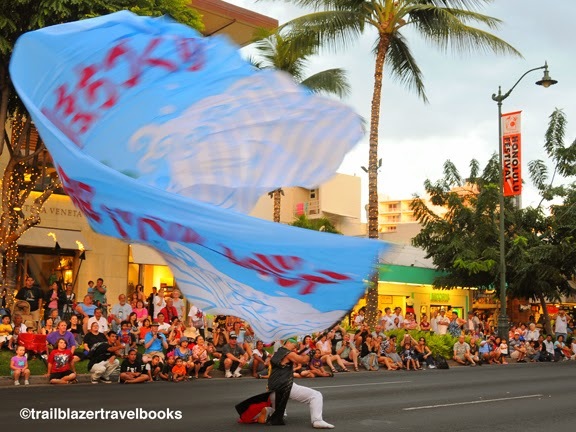 With 6,000 sailors from an aircraft carrier and 10,000 Japanese gathered for an annual festival, Waikiki was just starting to amp up for the evening. But at 10 p.m. air raid sirens drowned out the thumpa-thumpa of local dance clubs, as Hawaii Civil Defense called for an immediate evacuation. Police with megaphones cleared the streets—all of Waikiki is in the hit zone. Gas stations and food marts sucked in business. Residents streamed from the beach to Diamond Head, Tantalus, and other high ground of metro Honolulu. Tourists (sirens sound in every room) we're orderd to make a "vertical evacuation"—everyone from the first floor to the fourth pushed the up button in elevators. 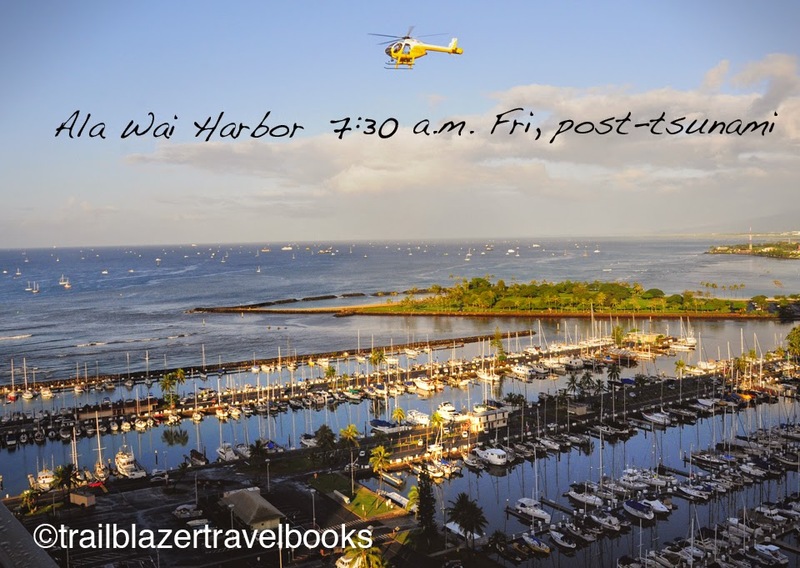 A real scramble took place at Ala Wai Harbor, right at the edge of Waikiki, as boat owners hauled vessels out of the water, or, more commonly, headed for open sea (see photo of boats sitting it out until all-clear from Coast Guard). Alarms and sirens continued on the hour until 3 a.m., the scheduled arrival time of the big wave. Thankfully, it was anticlimactic. Although the sea withdrew to expose reef locals had never seen before, the ensuing rush was only two feet high. This morning at 8, roads remain closed and boats must still reamain at sea, although the warning has been downgraded. 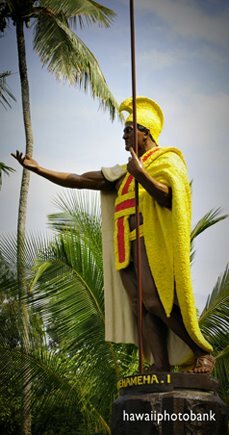 On Kalakaua Boulevard, the main drag in WKK, tourist are emerging bleary eyed from a party that turned out to be a suprise. A small shorebreak in shallow water makes Hanalei Bay's Black Pot Beach Kauai's best learner's venue—and one of the best in the Islands. 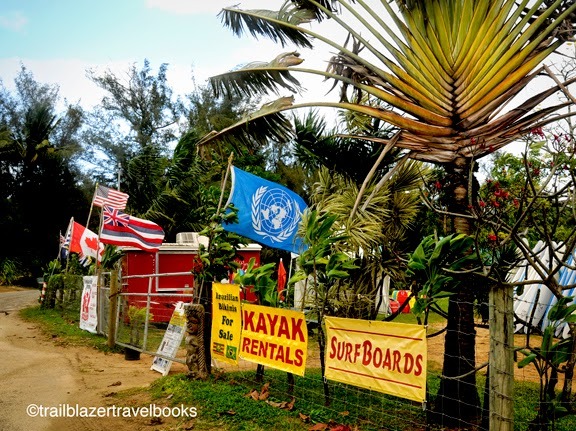 One surf school sets up close to the dirt parking lot. Other guys pull up next to Hanalei Pier. You're almost guaranteed to standing up on lesson one. Paddling outriggers is another matter. 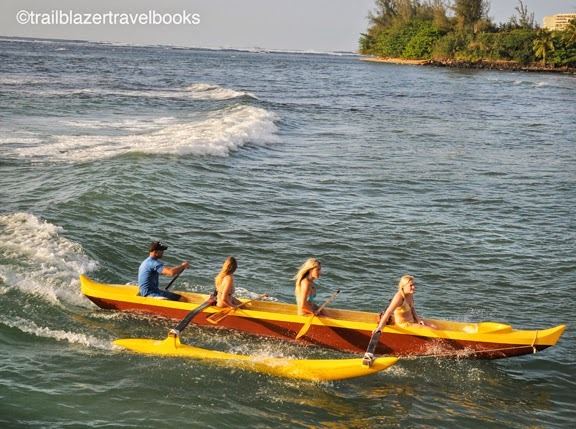 Though the ride pictured here is mellow, dumping one of these canoes is really easy in bigger surf. Newbies out on their own can go flying. The covered pier at Hanalei is the best spot to take in the action. A location for many movies, the pier has spectacular views of the bay and the green jagged ridges that envelop it. 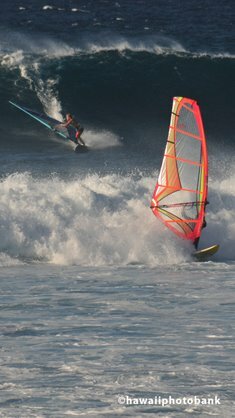 Hanalei Bay has surfing for big boys, too. Queens and Channels break about 100 yards off the pier. In the middle of the bay is Pine Trees, an often-nasty near-shore sand bar break that is the home beach for world-class pro, Bruce Irons, brother of the late Andy Irons, former world champ. Volcanoes Going Off on Hawaii's Big Island! 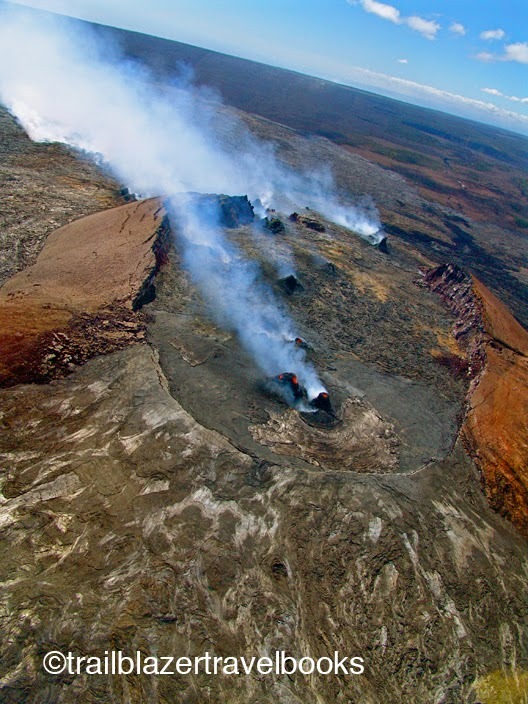 Recently there's been dramatic activity at Hawaii Volcanoes National Park courtesy of their rim webcams. View the northwest rim of Halemaumau Crater falling into the lava lake on March 3. 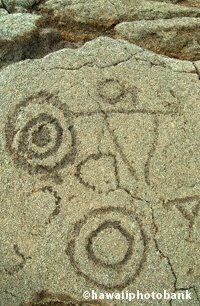 The lava lake was last seen in the 1920s. This crater blew its cork in 1974, and again in 2008, when the visitors overlook at the rim was blown to bits, thankfully, in the middle of the night. A time-lapse movie showing dramatic eruptive images at Pu'u'o'o Crater during February is also of interest. Every five minutes a frame is captured of the crater panorama. Lava finds its way down the cone it is created, superheated to melt everything in its path—rocks, steel, whatever.